Prosum - Is Your Companies Office Phone System Future-proof? The future of business telephone systems is here. The question you need to ask is have you considered the future of your companies communication and technology yet? Business telephones systems have come a long way. Back in the day office telephone systems were decked out with many buttons and cost just as much as your grandmother’s rare China plate collection. Every site needed special phone hardware making quality office telephone systems of the 90’s expensive. Here we are now in the age of the internet. With ongoing upgrades to business internet connections like NBN and cabling, telephone systems using VOIP technology have fast improved. Thanks to VOIP technology business phone systems now run at a fraction of the cost and have some pretty impressive benefits too. VOIP telephone systems are user-friendly, easily programmed and controlled. Some VOIP phones also have LCD touch screens which make light work out of storing phone numbers – listed within the LCD screen instead of dotted by buttons all over the physical phone. VOIP office phone systems have had their pessimists in the past. This is largely due to their reliance on the internet. The good news is with quality of internet connection now at a more optimal level, the quality of VOIP services has also increased. The cost of VOIP telephone systems are fairly balanced against the older analogue arrangements. But there are further savings that can be had with VOIP telephone systems. Hosted VOIP telephone systems are arrangements whereby the hardware is hosted off-site at a data centre. This provides the benefit of less maintenance and running costs as all of that is taken care of by the host company. Savings are also seen with peer to peer calling. Colleagues that are based at different sites or different locations can make free calls to one another. Dialling an extension that is listed within the VOIP telephone system is regarded the same as if the person was sitting next to you – there is no charge to speak to them on the system. As all calls are in fact delivered across the internet, they are generally less expensive than calls you would make on a standard telephone or mobile phone service. A win, win there really. Is VOIP the future of business telecommunications? While we see upgrades to internet technology rolled out across the country, we slowly see the back of reliance on PSTN and ISDN telephone services. In ground NBN cabling is now taking the place of copper which was once relied on for those services. With an increase in bandwidth from the NBN, VOIP telephone calls have become premium quality and more reliable. There is less problems with large file transfers that once caused many of those issues. VOIP telephone systems have many benefits and advantages for businesses of all sizes. Need some guidance? To discuss these more in detail and to see which system is best for your business, contact our expert team. At Prosum, we are experts in communication and technology solutions, we provide office phone system recommendations, including VOIP, hosted telephony and on-premise telephony solutions to businesses of all sizes, across all industries, right around Australia. With 50 years of expertise, no one knows technology and communication like Prosum. 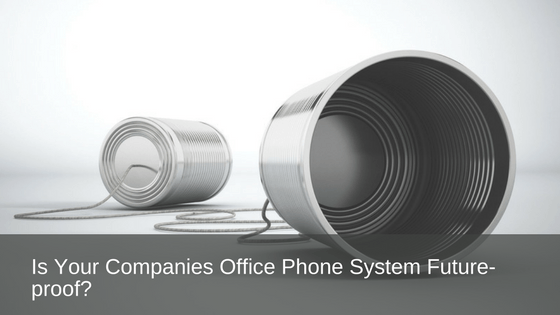 Learn more about the value of subscription-based VoIP office phone systems for companies here.